The black-footed ferret is native to the North American Great Plains and is one of the most endangered mammals on the continent. 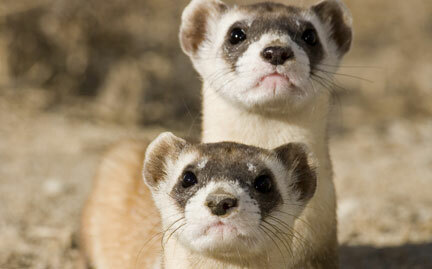 A solitary and nocturnal animal, the black-footed ferret is a cousin of the weasel. They live in burrows, which provide shelter, protection from predators, and quick access to prey—particularly prairie dogs.